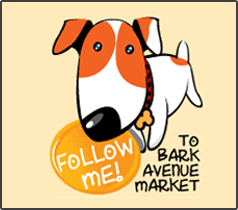 At Bark Avenue Market and Bakery, we offer a variety of premium pet foods, including raw diets for dogs and cats, treats and natural supplements - all suited to your individual pet’s needs. All of our baked treats are handmade, baked fresh and contain only human grade ingredients. 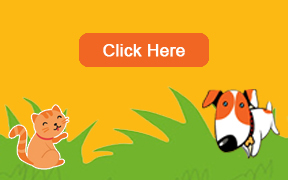 We believe in offering only the healthiest, nutritious and yummy treats for your pooch! You will find a self serve treat bar where you and your dog can sniff out all of your favorites from Pupper Nutters, Bacon and Chesse twists, Honey Bears and many more. While you are here, be sure to sign up for the birthday bone club. Oh, and don't forget to order your dog a birthday cake! Additional items you will find are beds that are designed with your pets comfort and your home decor in mind, designer collars and leashes, earth friendly pet toys, and shampoos and conditioners that are designed to enhance your dogs coat color. A few of the premium brands include Planet Dog, West Paw Design, Woof Wear, Dublin Dog, Cycle Dog, Up Country, Slik Hound, and DHARF Dog. If you come in and cannot find what you are looking for, just let us know. We will be happy to order it for you!